Neil Medwed, President of Preferred Technology Solutions, is a 30 year plus veteran of the North Texas technology industry and his firm is one of the most respected and established technology firms in the Southwest. He and his wife founded their company on two main principles. Providing technology is not simply selling a box. It is providing true technology solutions to meet specific business needs. Provide our clients with the highest levels of service and support before, during and after the sale. Our goal is to be more than a vendor. We are a true partner in your success. 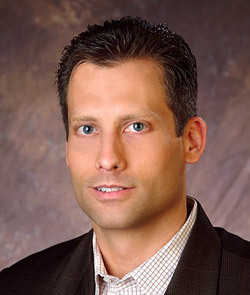 Chairman of the Board – Director of Strategy at Apollo Staffing, Inc.
Neil is a graduate of Michigan State University and enjoys travel, boating, golf and motorcycles in his free time. You can contact Neil directly at 972-331-5626 or via e-mail at neil.medwed@preferredtechnology.com. Dan’s made a career of providing insightful leadership, integrity, success and teamwork across varied industries and professions. A United States Air Force Academy graduate with a Bachelor of Science degree in Physics and Master of Science degree from Embry-Riddle Aeronautical University, Dan brings a unique understanding of human capital, technology, finance and business strategy to problem solving for clients and partners. A former B-52 and B1B Pilot and Aircraft Commander, Dan exudes confidence, builds teamwork, and executes with precision when the team counts on success. Hard work, persistence, creative solutions and a keen understanding of the client’s buying criteria led to blue-chip sales wins, multi-million dollar contracts and customers for life across the Fortune 500 spectrum. Some notable wins include ACS (now Xerox), BNSF, Check Into Cash, Dollar General, Greyhound, Southwest Airlines, Texas Instruments, Wal-Mart and Zales. Building on the leadership lessons learned from the Air Force, Dan imbues his team with confidence, integrity, teamwork and a win-win approach to solution selling. His high expectations and winning formula for success are contagious across departments and with clients. Many of the sales reps that started their careers under Dan’s leadership have gone on to become successful Sales Leaders, Vice Presidents and General Managers—their collaboration continues today. A life-long learner, competitive sportsman, family man and man of faith, Dan knows his accomplishments pale in comparison to countless contributions friends, family, teachers, coaches and mentors have made throughout his life. He’s been blessed beyond anything he deserves and now is the time to give back. With over 24 years of Telecom Sales and Management experience, Steve joined ZyXEL in 2009 and is responsible for all ZyXEL Service Provider sales in North America. Steve’s leadership at ZyXEL has led to significant market share growth in all Telco market segments. Prior to joining ZyXEL, he held various Sales Management positions within Tellabs, AFC, and Fujitsu. Steve acquired a solid technical foundation and vital customer experience working on Michigan Bell’s Engineering Staff right after graduating from Michigan State University in Telecommunications. Steve has presented Transport, Access, and advanced CPE solutions to several State and Regional Telecom Associations over the years in addition to National conferences such as Telco TV, Broadband Properties, and the FTTH Conference. 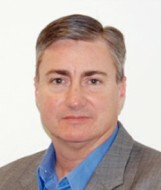 Mike Kunkle is a training and organization effectiveness leader with special expertise in sales force transformation. After his initial years on the frontline in sales and sales management, Mike spent the past 19 years as a corporate director or consultant, leading departments and projects with one purpose – improve sales results. And through sales training, organization effectiveness practices, leadership development, aligning performance levers and leading change efforts with focused execution – he’s done just that. At one company, as a result of six projects, he and his team delivered an accretive $398MM in revenue, year-over-year. At another, within 9 months, newly-hired sales reps with 120 days on the job were outperforming incumbent reps with 5 years with the company. Mike has held positions with The Richardson Company (a top 20 sales training firm), McKesson, NovaStar Financial, Hyatt Hotels Corporation, Household Finance, and others, and led his own consulting firm. Currently, he is the Commercial Training and Development Manager for GE Capital Americas’ Equipment Finance division. Scott is President and co-owner of Premier LogiTech where he manages day to day operations. He is directly involved in managing the company’s sales and customer relations management efforts. Prior to Premier, Scott served in several sales force development, revenue growth, operational improvement and leadership roles. He was Executive Vice President of Operations and Sales at Truckload USA, Inc., a privately held Supply Chain Management start-up. Prior to Truckload USA, Inc., Scott was Director of World Wide Sales for Chorum Technologies and held numerous sales roles for other technology companies including Digital Lightwave and Acterna. Scott also received advanced training in Civil Engineering from the Army Corps of Engineers where he attained rank of Major and trained soldiers for operations in both Iraq and Bosnia. He was awarded several Army decorations for outstanding service. 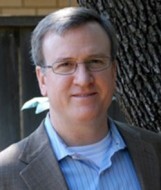 Scott serves on the finance board of his church as well as the West Point Society of North Texas board. He coaches 3 teams and loves working with kids! Mr. Paul earned a B.S. in Mechanical Engineering from the U. S. Military Academy and has an MBA from the University of Texas at Dallas.